Continuing our Festive series Ambassador Llewellyn pops onto to share a Christmas message and reflect on 2017 and 2018. Use our community group to get in contact and find support if you need it over the festive period. 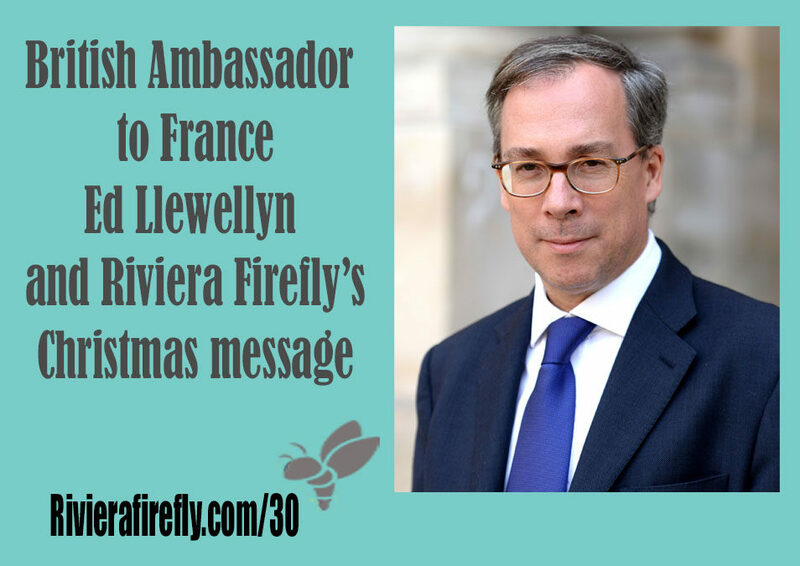 We are fast approaching Christmas here in the South of France so I am honoured that the Ambassador agreed to pop in on this episode to share a Christmas message . I met him back in November originally as the Embassy and Consulate team visited Nice as part of their French tour ..these were free meetings with the British Expats here chatting Brexit among other things. I summed the meeting up in episode 25 so you can go back and listen to that via rivierafirefly.com/25 we plan to do another update in 2018 as things for us Brits here become clearer. What the Ambassador would like for Christmas. www.gov.uk/government/publications/voisins-voices-a-newsletter-fr-the-british-community-in-france Voisins Voices Newsletter ? Download for free A pdf on all the books mentioned in the 10 podcasts in series 1 www.rivierafirefly.com/bookclub.